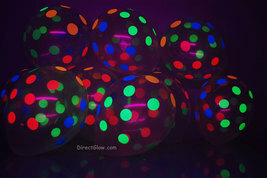 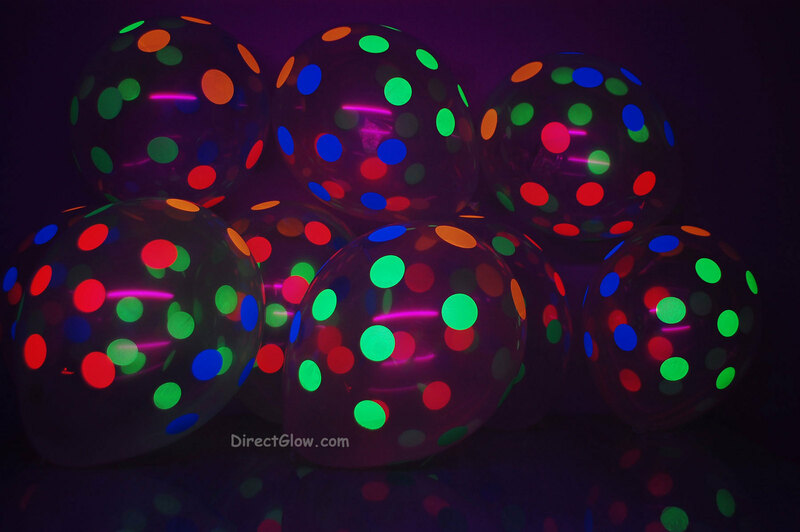 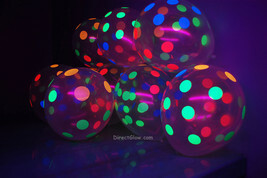 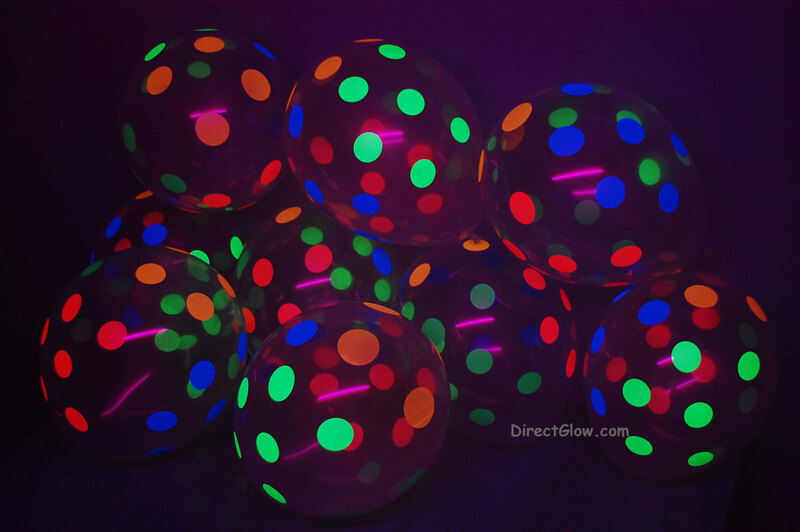 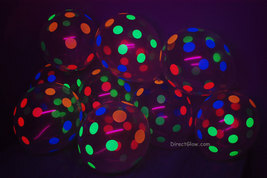 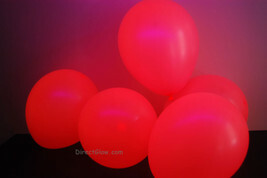 These awesome 11 inch latex blacklight reactive balloons are a must have for any blacklight party! 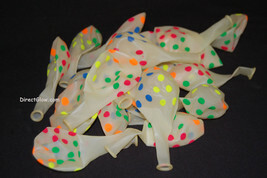 The body is a clear latex with neon uv responsive polka dots in various colors. 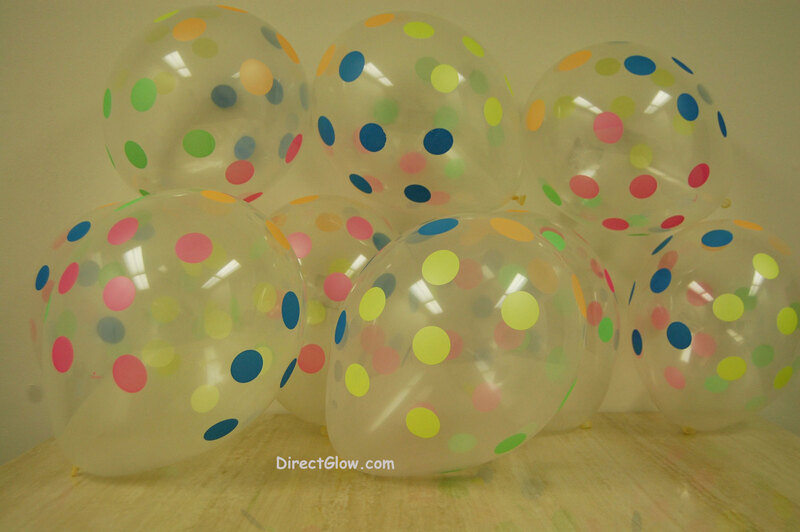 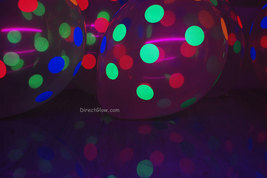 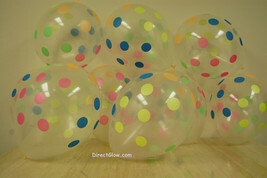 The body of the balloons do not glow; just the polka dots. 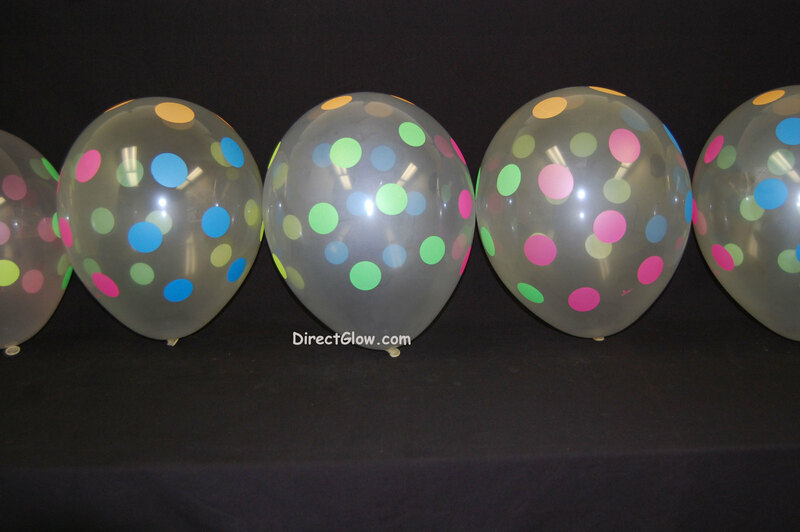 This makes a great contrast and really accents the polks dots to make them stand out. 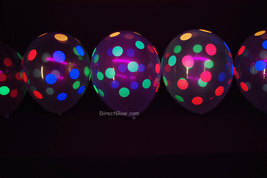 Please note these balloons do NOT glow in the dark. 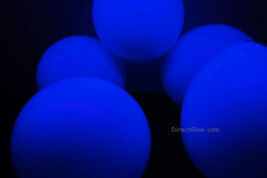 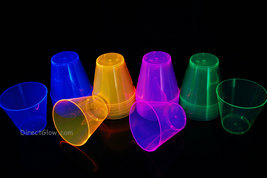 They are black light responsive ONLY. 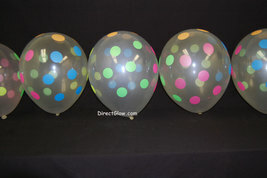 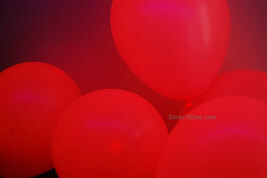 These balloons are helium quality, but will hold their form just fine with regular air as well. 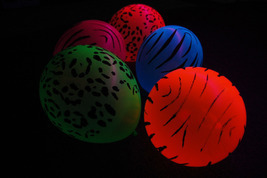 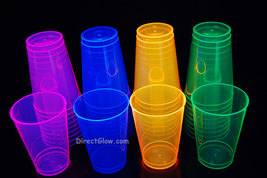 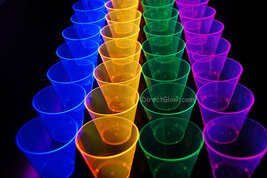 For maximum glow effect make sure your area is well lit with UV blacklight!